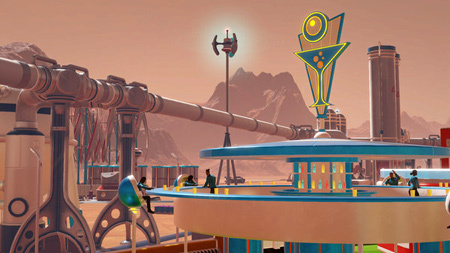 Surviving Mars is a sci-fi city builder game by Haemimont Games. Your objective is to Colonize Mars and discover her secrets with minimal casualties. Choose a space agency for resources and financial support before determining a location for your colony. Build domes and infrastructure, research new possibilities and utilize drones to unlock more elaborate ways to shape and expand your settlement. There will be challenges to overcome. All you need are supplies, oxygen, decades of training, experience with sandstorms, and a can-do attitude to discover the purpose of those weird black cubes that appeared out of nowhere. Surviving Mars holds many secrets. During each playthrough players may encounter one of Mars’ individually crafted mysteries. Uncovering these secrets might bring your colony great fortune, or terrible ruin. If you get stuck in the game, check out the video walkthrough and gameplay for the game. This entry was posted in PC Games, Walkthrough and tagged Surviving Mars Cheats, Surviving Mars Gameplay, Surviving Mars Guide, Surviving Mars Hints, Surviving Mars Review, Surviving Mars Solutions, Surviving Mars Strategy, Surviving Mars Tips, Surviving Mars Walkthrough by Marvin. Bookmark the permalink.